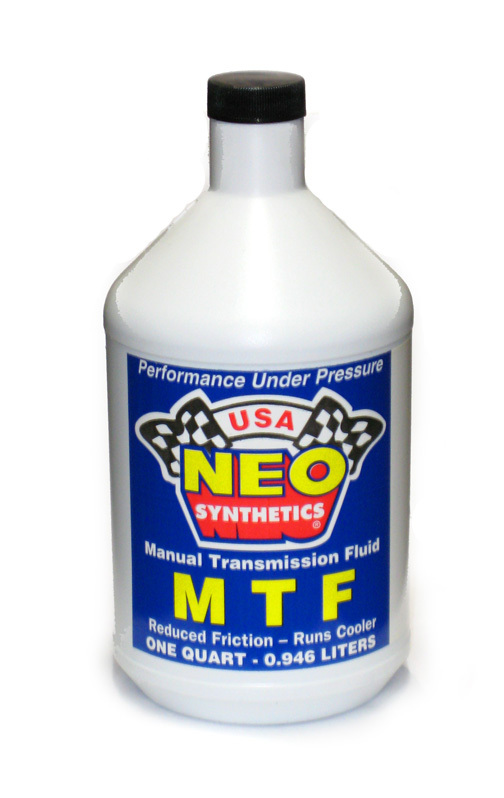 Neo MTF is a unique high efficiency lubricant formulated with a 100% synthetic Base for applications permitting a low viscosity. Its blended with a contemporary additive system to provide the ultimate in gear and syncro protection from pressure, corrosion and shock load. Recommended only for manual transmissions where a low viscosity oil is specified, such as a 5/20, 5/30, 10/30, 10/40 motor oils and Automatic Transmission Fluids.